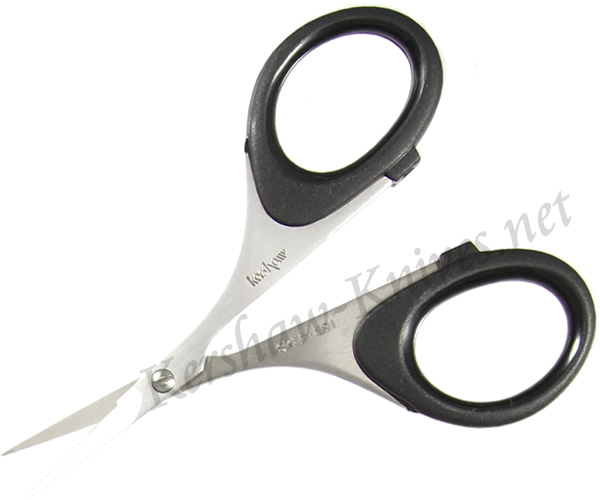 The Kershaw Skeeter I Fly Tying Scissors model 1210 have an extra fine point and large finger holes that combine to allow the user steady control while executing precision cuts. The Skeeter I is constructed of stainless steel and has a 1 inch cutting surface. Capable of cutting through a wide variety of materials with extreme precision, the Skeeter I is a smart addition to any tackle box.